The Non Stop Laughs Party Pack is great for all you big (and little) kids out there that want to have a full on party experience. This one will keep everyone laughing all night as you challenge each other. 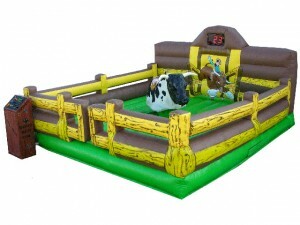 Our Mechanical Bull comes with a fully trained supervisor to make your Bull riding experience one to remember. We can run at competition level right down to beginner level! Add the Sumo Suits and Arena to the mix and you've got an action packed night ready made!